This the first in a new series of posts that we will be publishing. This week our Business in the Spotlight is Shoryu – a minimalist noodle bar specialising in authentic Hakata tonkotsu handmade ramen in pork broth, plus sake and Japanese whiskies. Shoryu Ramen launched in November 2012 and has been recommended in the Michelin Guide 2014 and 2015. Shoryu Ramen specialises in Hakata tonkotsu ramen from the Hakata district of Fukuoka city on the southern island of Kyushu, Japan. Hakata tonkotsu ramen is a style of ramen made with a thick, rich, white pork soup and thin, straight ramen noodles. Their Hakata tonkotsu ramen recipe has been specially created by the Executive Chef Kanji Furukawa who was born and raised in Hakata, to provide the UK with highly crafted, genuine tonkotsu rarely found outside Japan. We spoke with the Marketing Manager – Peter Cowie who told us about what inspired the birth of Shoryu , the brand, their uniforms and tips for restaurants. What inspired the setup of Shoryu? Shoryu Ramen was the vision of Japan Centre CEO Tak Tokumine, who long held the dream of bringing Hakata-style tonkotsu ramen to the UK. In 2012 he got together with long-term friend, top chef and fellow Hakata native Kanji Furakawa and together they made this dream a reality. Developing the Shoryu brand was a joint venture between some of the key figures in our business, including Japan Centre CEO Tak Tokumine and designer Nariaki Kanazawa. 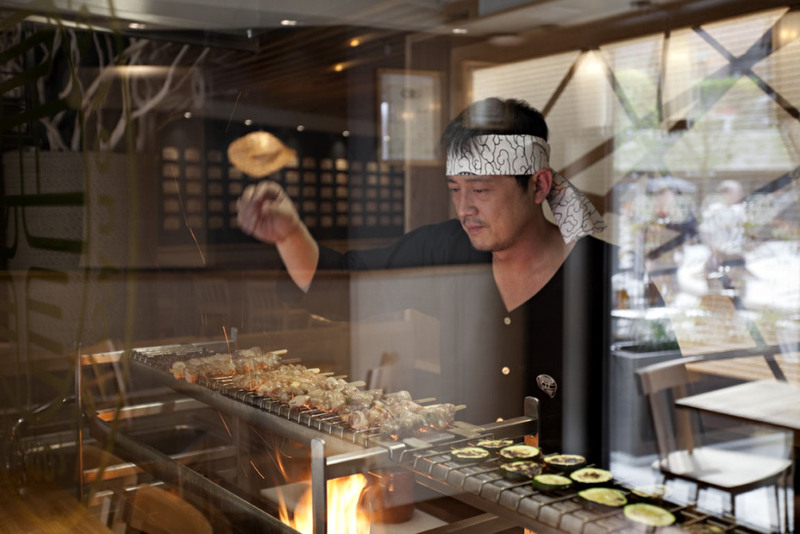 Shoryu means ‘rising dragon’ and refers to Tak’s vision of the rise of tonkotsu ramen in the UK. They decided to use black and gold for the brand’s colours, with gold reminiscent of the ramen noodles. We used Japanese kanji in the logo and penned our slogan “It’s In Our Bones”, referring both to the ramen making process and how our heritage is a key part of Shoryu Ramen. How did you come up with the uniforms? In keeping with providing an authentic, Japanese experience at Shoryu, our uniforms are inspired by the restaurants of Japan. We developed unique components of the uniform including traditional wrap around ‘maekake’ aprons and ‘koikuchi’ shirts that are rarely seen outside of Japan. Our ‘maekake’ and specially designed bandanas we import directly from Japan. What the importance of creating a strong brand image in the restaurant industry? A strong brand is vital, as customers are eager to know exactly what they are getting from a restaurant. For us, we want people to how important our heritage is to us and how it plays a huge part in the food we love and love to serve. For a modern business like Shoryu, we think it is essential to engage with our customers via social media platforms to increase brand awareness. 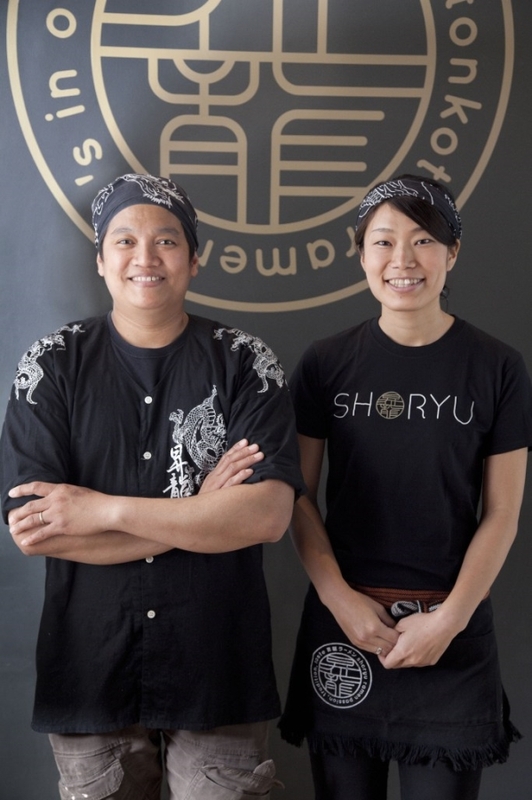 We love connecting with passionate food bloggers who can broadcast the word about Shoryu to their many followers. Of course it is essential to maintain high standards and superb quality, which will naturally spread brand awareness through word of mouth. We’re a young, enthusiastic and vibrant restaurant brand, proud of our Japanese heritage and excited for the future of Shoryu and ramen in the UK and beyond. Previous Why You Should Invest in Uniforms and Branding as a StartUp?